Dr. Han is Digital Divide Institute’s primary adviser regarding efforts to extend and adapt the Institute’s “meaningful broadband” model to People’s Republic of China. 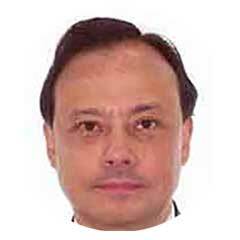 He is one of PRC’s significant researchers on the topic of closing digital divide. 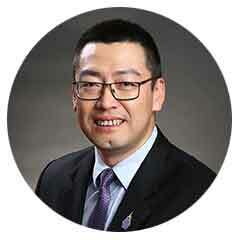 He is an associate professor in the Department of Information Management at Peking University, where he teaches Information System Analysis and Design, and Theories and Technologies on Modern Information Retrieval. Introduced to the field of community informatics by Dr. Kate Williams and Dr. Abdul Alkalimat from the University of Illinois at Urbana-Champaign, he helped organize the Community Informatics Summer School (CISS) of Peking University in 2011 and 2012. He is a coauthor of Community Informatics in China and the US: Theory and Research, which is the first community informatics textbook to be published in China. 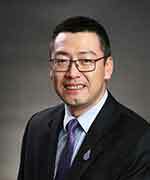 Dr. Han is also the organizer of the first community informatics conference in China, eBeijing 2012. His current research project, sponsored by the National Social Science Fund of China, investigates the digital divide between China’s urban and rural areas and its impact on China’s urbanization process. 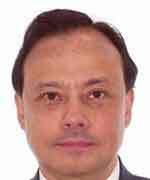 Dr. Sulaiman is an energy efficiency-sustainability researcher and economic-policy analyst with a focus on the IT and telecommunications (Information Communications Technology, ICT) applications in developing countries. He works in Jakarta and Canberra. In his previous work for the Green Prosperity Project (funded by US-Millennium Challenge Corporation), Idris worked as the Team Leader in the assessments for locational selection and in developing ICT-energy model to support ICT deployment. For the Meaningful Broadband Working Group (MBWG), he is tasked to focus on pilot project designs to align “green growth” strategies with local-broadband deployments. He specifically focuses on green energy for telecom towers and data centers, energy efficient standards for ICT procurement and ICT applications in smart buildings. 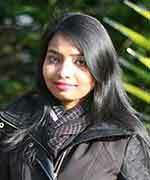 Dipanwita Barai leads DDI’s stakeholder development in Bangladesh and manages Meaningful Broadband in Asian nations. 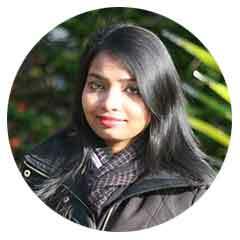 She is an expert in development economics with published papers on that theme. She received her Masters degree in economics from the University of Texas at El Paso and did advanced studies in that field at the New Mexico State University. She was recently awarded the Prime Minister Gold medal from the government of Bangladesh for her superior performance at the Shahjalal University of Science and Technology. Based in Seattle, Ms.Barai is Digital Divide Institute’s liaison to the University of Washington and other stakeholders in Seattle/s tech sector.